Seniors are the fastest growing demographic in New York City, and many are homeowners living on fixed incomes. As housing costs have risen, it has become increasingly difficult for seniors to afford aging in place. That’s why the Center has been at the forefront of addressing these challenges with its Senior Initiative. Funded by the New York City Council, this initiative brings key partners together to address the needs of this specialized population with services that are created to stabilize older homeowners. One of these partners is JASA, a nonprofit social services organization that was founded in 1968 with a commitment to serving older adults across the city. JASA provides life-sustaining programs for seniors and peace of mind for their families and friends. JASA also offers legal services for the elderly, helping seniors remain in their communities with autonomy and dignity. JASA serves about 450 homeowners a year. 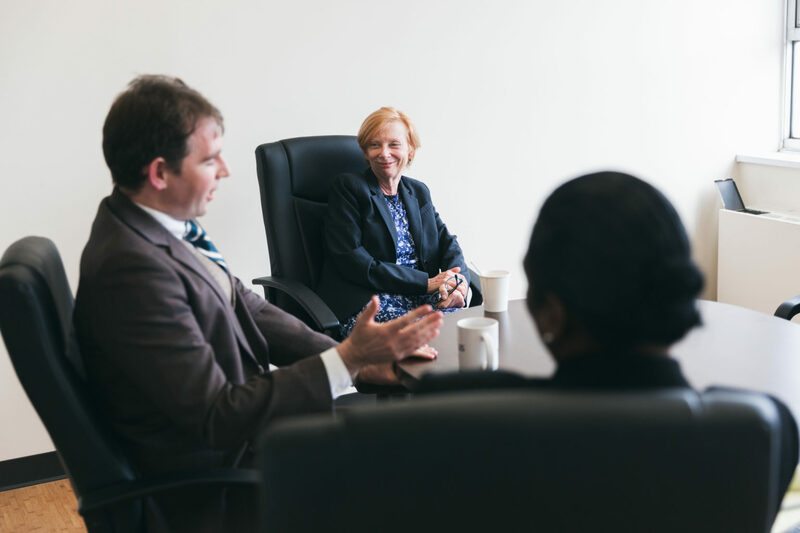 For Donna Dougherty, who leads the team at JASA that serves senior homeowners, her biggest frustration is seeing clients experience discrimination because of their age. “It’s a bias against your client that you can’t prevent or control,” she says. Her team helps seniors bring their mortgages current, refinance their mortgages, modify them, resolve tax liens, dismiss foreclosure actions, and more. In one recent case, a 67-year-old widower living on a fixed income of $600 a month was faced with having to repay a reverse mortgage after his wife died. Not knowing what to do, he rented out the two apartments in his building and moved into the basement; however, the tenants stopped paying rent and called the city to report the homeowner for living in an illegal apartment. Forced to vacate his home of more than 30 years, he moved in with a neighbor. But he wasn’t going to give up on his home. With JASA’s help, he sought to stop a foreclosure sale by the bank. The sale was postponed, the tenants moved out, and the widower was able to return home. JASA continued to work with the homeowner to have the reverse mortgage paid off.